Wong Fleming is proud to announce Farrah Najmuddin Lang has been promoted to Partner. Mrs. Lang served as Senior Associate in the Firm’s Sugar Land, Texas office and is a member of the litigation and family law practice groups. Her litigation and family law experience focuses on all aspects of commercial litigation and family law. When asked what part of her work is it she most enjoys, Mrs. Lang mentioned “the closure and resolution when a case is completed, regardless of whether it’s at trial or through a settlement”. She then added, “Knowing that a client can now move forward with their life and I was able to help them get to that point is very satisfying” (Baylor Alumni Interviews, 2017). Mrs. Lang was a judicial intern for the Honorable Laura Carter Higley, Justice of the First Court for Appeals, an intern for the Harris County District Attorney’s Office, Appellate Division, and a graduate fellow for Children at Risk. Additionally, Mrs. Lang also worked for the Honorable Judith Zaffarini, of the Texas State Senate, during the 81st Legislative Session. 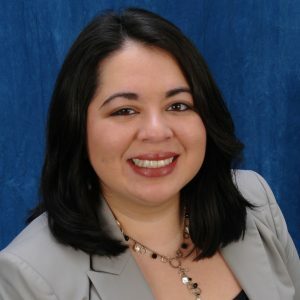 She earned her Juris Doctorate at the University of Houston Law Center and served as an Articles Editor for the Houston Journal of International Law. Prior to law school, Mrs. Lang earned a Bachelor of Arts in Philosophy with a minor in Political Science from Baylor University in Waco, Texas, where she was a President’s Scholarship recipient. Mrs. Lang is a member of the State Bar of Texas and the Houston Bar Association. She serves on the Gender Fairness and Special Olympics Committees.